Now closed…. Thank you to everyone who joined in and sent us an entry! The challenge is BACK! Sophia was so overwhelmed by the talent showcased in the #PimpMyChiara challenge that we’ve decided to celebrate 750K Instagram followers by giving you another one! 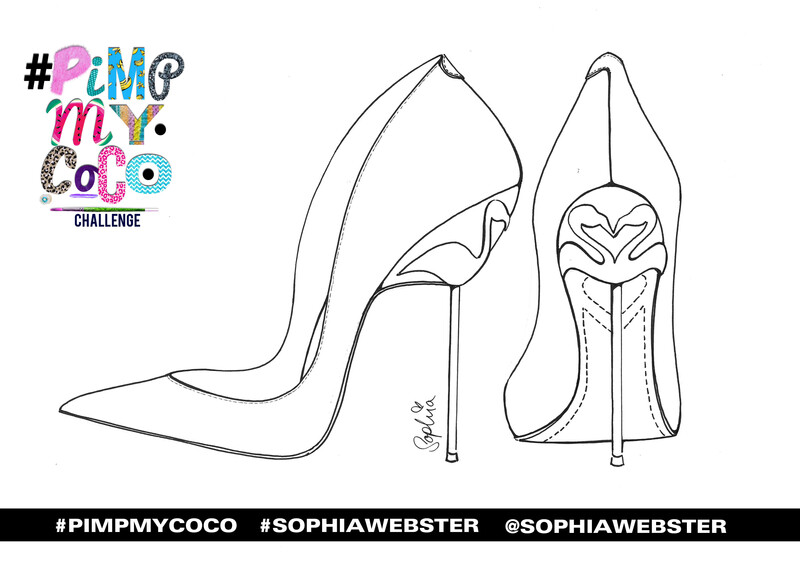 Enter the #PimpMyCoco challenge for the chance to have your own Coco design custom made. Designs from prints to patterns to crazy colour combinations are all welcome… go completely COCO with it! -You can enter as many times as you’d like! –Sign up to our newsletter and follow us on Snapchat for updates! -Competition closes 8th of August, good luck! You can also download and print the image here.